The Super Smash Bros. series is sustained by a passionate community with a seemingly endless amount of requests. It's a nice gesture considering Sakurai has devoted much of his time to the Super Smash Bros. series over the years. Were you excited to find out King K. Rool would be appearing as a fighter in Super Smash Bros. Ultimate? Tell us below. Yeah I saw this earlier. After that news a while ago that Waluigi fans were harassing Sakurai for not adding him to Smash, it's really nice to see that fans are also able to just be thankful. I really hope Sakurai sees this and that it makes him feel that it's worth while still, we really don't deserve what this guy is doing for us I swear. Not every Fanbase is prefect. but nice to see kinds things coming to said fanbase. With so many characters in this game, it is easy to take it for granted the lengths they had to go to get some of them. I mean come on, who else can say that their game has Cloud, Mario, Sonic, Pac-Man and Jigglypuff fighting to the death. Smash is an achievement for gaming, not just Nintendo. Nice to see some fans bring that to light here. This is very cool. It's so great to see how appreciative the King K. Rool fans are for getting the character they have wanted back for the past decade. I really hope Sakurai sees the letter, he deserves acknowledgement for his hard work! At times it amazes me that Sakurai can still tolerate working on a series with a fanbase as... let's call them "difficult" as the SSB fanbase. But I bet it's times like this that makes him tolerate the abuse. That, or it's his own desire and stubborn dedication to make the best game possible and do do so to his own standards. Smash Ultimate could very well be my new favorite game of all-time. The older I get, the less games seem to be able to hold me, so I thought that sadly nothing would be able to recapture the magic gaming always had for me when I was little. But I can't stop thinking about Smash Ultimate on a daily basis, and I feel like it's not far from being a virtually perfect experience. Reptilian needs representation, they need to be included and not discriminated because of their species. I'm one of the many fans who signed the card. K. Rool was my most wanted Smash newcomer, so to see Sakurai finally add him in the game has me ecstatic! December 7th can't come soon enough. I always feel bad for Sakurai. I hope after this he takes a vacation. I want to see him strike out on a brand new game idea and explore his imagination, he does great work with his team. This thank you idea was wonderful and I agree with it. Such an exciting addition. After the waluigi thing I felt bad for him. It fill me with joy to know others who play the game are this kind. I hope Sakurai never adds Waluigi to the roster, just to show how harassment never solves problems. But it's always great to see people showing off their manners with their please's and thank you's. 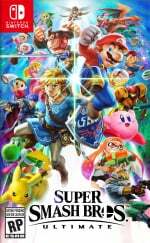 @Not_Soos, I've been feeling the same way, I've always been a gamer grew up on Nintendo and I can say it's been awhile since I've gotten this excited to play a game so far what I've seen of Smash Bros Ultimate looks just phenomenal. I have even quit watching videos and only read certain articles as to not spoil any more of the game, I want to have some level of surprise when I get my hands on a copy and get to finally play it. I'm also psyched for the upcoming Metroid and Bayonetta 3 but Smash Bros has got me literally excited like I'm a kid again. Enough, just give us new cups on Mario kart 8 deluxe already! i think geno will be in and also Isaac from Golden sun. The demand was really high for both of them. That is kool! It's pleasant to hear of something like this in the midst of the venomous uproar of those incredously obsessed with Waluigi. I haven't had a chance to play the classic DKC games, but I myself am thankful for the plethora of my personal favorites that Sakurai has included before. This is refreshing, especially after those idiots who threatened Sakurai for not including Waluigi. I hope he never joins Smash, just to spite those awful entitled people. @thesilverbrick To be fair to genuine Waluigi fans, and even some casual memers, there's always that small group of people who ruin things for everyone. This goes for a lot of characters people want in Smash. They either don't realize they're going too far, they're just trolling, or there's something genuinely wrong with them. Two other characters I can think of, with this problem, are small groups of Daisy and Shantae fans. I also remember Ridley having some particularly annoying fans as well. @Regpuppy I hear you. And I was mostly kidding. But honestly, Waluigi is kind of a problematic character to categorize in Smash. Wario represents his own series with the “W” emblem, but Waluigi has never even appeared in any Wario games. Giving him the Mario series mushroom logo and Wario a different series icon would just be weird. Plus, he really couldn’t be an echo of anyone else already on the roster, as his potential move set and body type don’t resemble any existing characters. Add to that the fact that Waluigi really hasn’t featured in any mainline Mario game and you’ve got a character that struggles to find enough relevance to be included as a playable fighter in Smash. I think an Assist Trophy is the perfect way to include Waluigi. @thesilverbrick I can agree with those reasons. There's a long list of characters that deserve to be in before he's even looked at. Just wanted to give his goofy fandom a fair shake. Only two months left to add more characters, stages, the story mode, and level editor before the final game goes into production. I couldn't ask for more now that Ridley and K.Rool are in, and I don't think there will be many more reveals. Though I'll jump through the roof if the final characters are Elma (XenoX) and Chibi-Robo, and out of the window if they're Geno and Isaac. @Regpuppy You encapsulated my feelings exactly. There are so many other Nintendo characters that deserve a spot before Waluigi would ever become playable. But it’s charitable of you to acknowledge the sincere fans of Waluigi. @SKTTR All my yes to Chibi Robo. He’s my most wanted character at this point. I would adore to play as him and there’s such potential for a hilarious moveset. @thesilverbrick Yeah, Zip Lash (even though not Chibi's best game) set the foundation for Chibi-Robo to work as a Smash character. His brilliant debut in the amazing Gamecube game and DS sequel made him one of my favourite Nintendo characters of all time. Must make Sakurai feel really good. Especially after all those Waluigi fans were threatening him. @SKTTR I imagine we'll get a fair amount of echo fighters in addition to a few more villains. Though, on a personal level, I'm not even sure who I want anymore. Aside from another Starfox rep, which I've given up on, the only ones I can think of are Dixie as a Diddy/DK echo, Shadow as a Sonic echo, or Black Shadow from F-zero. We still need some more villains for our roster, and it'd be nice to just finish the old DKC2 team. Dixie Kong might work as Diddy's echo and would be a great and charming addition as well. But if Diddy has an echo, then what about Donkey? Funky Kong fits him the best anatomically, he's also one of the original Kong family, was playable in a few DK games, and was recently added to the the latest main DK game as a playable character, so there's enough reasons to include him above anyone other Kong (except Dixie). And let's not forget Cranky is also high up there in fan demand. I think Peppy and Slippy can work as Fox and Falco echos, but it would be a cool surprise if the newcomers from recently released Starfox 2, Miyu and Fay, get introduced. Maybe that's too farfetched or too soon though since Peppy and Slippy definately deserve a place first. Poor Krystal though. Now that Samurai Goroh is confirmed to be just an Assist Trophy, Black Shadow (or maybe even final boss Deathborn) would make a great F-Zero villain and Captain Falcon echo. On that note, Little Mac can have an echo villain as well in the form of King Hippo (more iconic and fun than Mr. Dream or Soda Popinski imo). Elma and Chibi-Robo are just the beginning of my character wishlist. Zael from The Last Story, Aeron from Pandora's Tower, either Saki/Airan or Kachi/Isa from Sin and Punishment, Pauline from Super Mario Odyssey (deconfirmed? ), and so many others continue an endless list of lovable, fitting characters from great Nintendo games. I have enough to fit the next 3 Smash Bros. games. If you're interested please check my forum post. Shadow and Ken seem to be given at this point (and I really hope so). And Rathalos makes me want a Monster Hunter. Yeah but what about WaLuigi? This is a nice and IMO well-earned gesture to Sakurai. Those fans who went to the lengths to get this out there have my respect! The Waluigi crowd could learn a thing or two from this. I would thank him if he made Wart the echo fighter for Bowser. @SKTTR I wouldn't mind a monster hunter rep, but I wonder how they'd be handled since they're a customizable character. They'd either have to pick a class or do like they did with inkling and use different weapons for their different smash attacks. This is nice, good on them. Now for The Knight from Hollow Knight. @Ttimer5 I think most of the appeal of the character is the fact he has never been a prominent element in the Mario games except games within the Tennis and Party series. If he was in Smash Bros. as a playable character and then became a major character in other games, I think the appeal for the majority who want him in would be gone. It would be like killing a joke or having an average family on a T.V. show win a trip to Mars. Yea I just feel that people loved him as a Meme, at least in Smash, and others just don't know when to quit and took things way to far. And if he was added in... Many people will just go down the line of 'potential' characters. Happy that I was able to sign this letter. 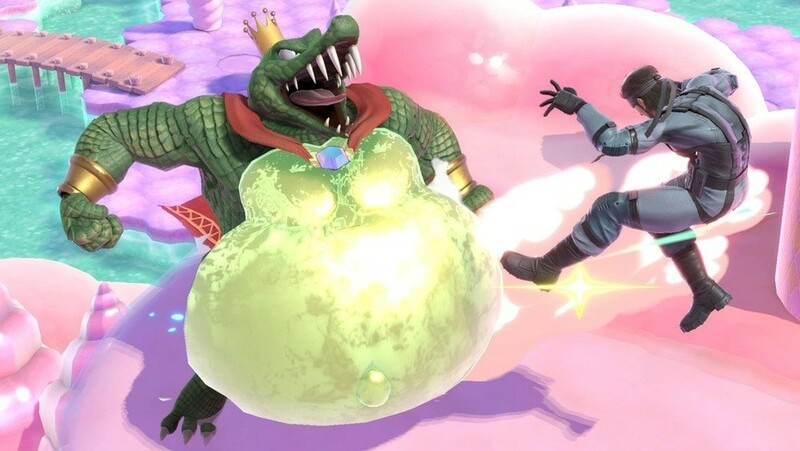 K. Rool has been my most wanted for years, the fact that it finally happened is still surreal. Now all we need is Banjo and all will be good in the world. Very nice. I am very happy with his inclusion myself!